In case you hadn’t noticed, social is the biggest thing in digital marketing right now. Yet one company stands alone in refusing to join the rush to social, and it just so happens to be the world’s biggest tech company. Apple’s refusal to truly embrace social is well documented, but I was encouraged to take a closer look at its approach by the laughable share buttons on its e-commerce site. Nearly every company you can name has filled its product pages with share icons for Facebook, Twitter, and in some cases Pinterest, but Apple doesn’t have any. Well actually it does, but they’re hidden in a subtle drop-down menu that looks like it contains product options rather than sharing tools. The buttons themselves don’t contain any icons or branding for Facebook or Twitter, they are just cold, unattractive text. This lack of any social buttons extends to its other software, iTunes has a ‘like’ button but that’s for its music social network Ping, which nobody uses. In the past year it has integrated Twitter into its mobile and Mac operating systems, but while this is an acknowledgment that its customers want social apps, Apple has steered clear of embracing social for it marketing. Yet the company clearly sees some value in social media as it operates several Twitter and Facebook accounts for its various sub-brands like the App Store, iTunes and iBooks. But predictably all of the accounts just push out marketing messages and don’t make any attempt to respond to consumers. Ironically, much of Apple’s marketing takes place on social media as its fans create buzz around new product launches on blogs and Twitter, yet Apple apparently does nothing to get involved with or influence the discussion. Essentially, its strategy is to create a social buzz by staying completely silent, instead letting the rumour mill do the PR work instead. The contrast between the launch of the iPhone 4S with the current marketing campaign going on to promote Samsung’s Galaxy S3 is remarkable. Samsung Mobile has a very active Twitter account with almost 2m followers, while its Facebook page posts daily content to 10m fans. Yet Apple has no official accounts on either network, and instead relies on traditional media such as TV ads. The veil of secrecy is obviously part of Apple’s master plan to generate excitement around its products, but its employees may find it frustrating. While many brands encourage their employees to blog and tweet about the company, Apple apparently forbids staff from discussing the company or posting comments on third-party Apple and Mac-related sites. Programmers and software engineers tend to be very active in online forums and blogs, so it must lead to some tension within the company. Obviously it would be churlish to suggest that a business with profits of £7.2bn from the first three months of this year needs to have a major rethink of its marketing strategy. Apple’s profits are now bigger than Google’s total revenues, and it sold more than 11.8m iPads and 35m iPhones in Q1. So should Apple be doing more with social? Definitely not. After all why change a winning formula now? But while it’s interesting to note that Apple’s runaway success has come in spite of its refusal to use social media, it also doesn’t mean that Samsung should ditch its social activity. There are clearly benefits to social media in terms of engaging with consumers and building customer loyalty, it’s just that Apple’s success means it doesn’t have to chase Facebook likes. And success also allows it to tack on shoddy share buttons to the Apple Store without caring what its users think. This week it’s all about food and games on our weekly showcase of The Dachis Group’s Social Business Index. Our focus is on three well-known brands – the world’s largest sandwich chain, a specialty grocery store, and the people behind Monopoly – as analyzed by Lauren Picarello of the Dachis Group team. We’ll also take a glimpse at the top twenty brands on the Social Business Index, a real-time ranking of more than 30,000 global brands based on their performance in the social space, to see how the biggest brands in social are faring. The past year hasn’t been the best for Netflix. After making several strategic blunders, including one of the most painful branding disasters in recent memory, the company lost subscribers and saw and investors dump its shares. But mistakes behind it, Netflix is pushing forward and in June, the company achieved a significant milestone: its subscribers watched more than 1bn hours of video. The minute we’re born, we begin to age. This was apparently the number one concern occupying respondents of a 2011 Gallup survey commissioned by pharma giant Pfizer and the finding upon which the company has based its Get Old social media campaign. 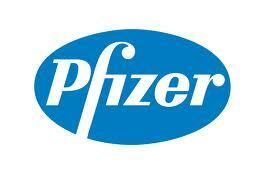 In a press release announcing the multi-year initiative that began last month, Pfizer tied it to the company’s larger mission of improving the health of all people at every stage of life. PR platitudes aside, the initiative also marks Pfizer’s lengthening social media shadow, cast, in part, by CEO Ian Read, who has criticized the industry for being “slow to adapt” to today’s more open society. Pharma’s hesitation no doubt informs Edelman’s 2011 Trust Barometer, which found public confidence in businesses, governments, and, in a new development, NGOs slipping at a noticeable rate. When that focus was narrowed to Pfizer alone, the results were no better: About 45 percent of respondents described the drugmaker as unethical and not credible. Not acceptable, according to Read.